I feel the need to suffer. Not in a masochistic sense or anything of the sexual kind. Pain is part of being a biker, needs to be. There is a definite need to suffer so you can enjoy. How can you explain that to somebody who isn’t a biker? The destination you want to reach isn’t the most important thing. It is the way you reach it that plays a vital role in the enjoyment of achievement. 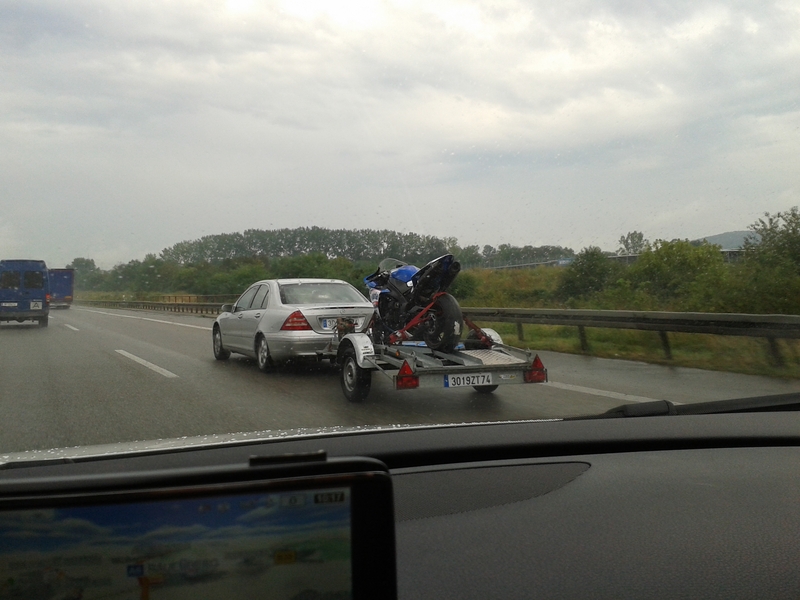 You do not hang a trailer on your expensive car and put the bike on it. You do not drive when you ride. My opinion, quite obviously these days not one shared by many. In summer these guys shirk long distances. Now, as autumn approaches, it is rain and cold they do not find too appealing. 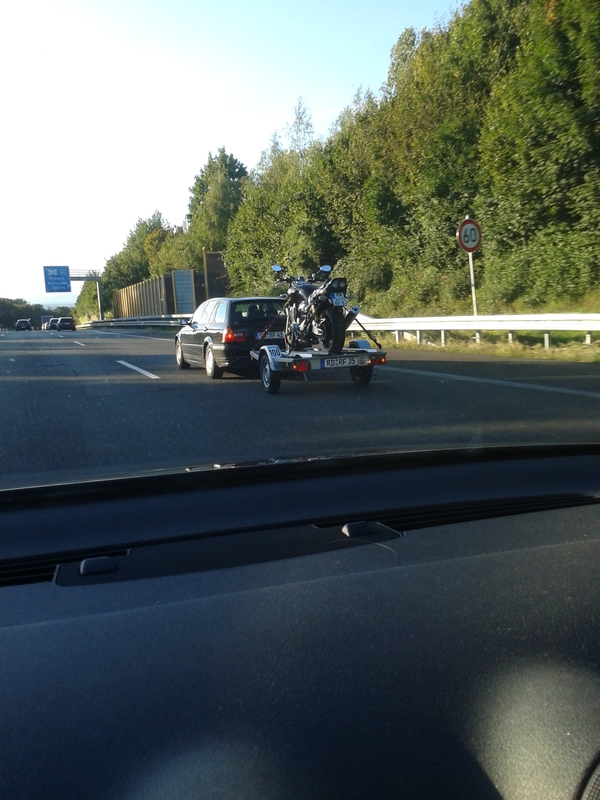 Using a car to transport a bike is not only ridiculous, it is missing the point so completely and utterly it could be funny really. But I do not find it funny. Annoying is the word that hits the target here. These middle-aged and middle class bikers annoy me because I feel they have no right to be part of this group. Trailing their bikes! Their hands in their gloves never felt so cold that they couldn’t use the front brakes anymore. Their feet were never so wet that they were swimming in their boots. The pain in their backs never stopped them from sleeping at night. So they are comfortable and cozy and annoying. The point of riding a bike is riding it.